The past few years I've gotten into ways of earning a few extra bucks with minimal effort. I've discovered a few different ways that I've been able to earn gift cards for places I normally shop at. I will say that most of these are ones that take some time. If you're looking to earn $100 this weekend these aren't for you. These are more long tern rewards. Several of them once you set it up it can be automated it's worth the wait. Did you know that if you've got a Walgreen's Balance Rewards you can actually hook up your FitBit or other fitness tracker as well as a number of different health and fitness apps. So this means if you're being actively and trying to be healthier you're earning Balance Rewards points. Looking at my account right now it's saying I've earned 20,000 points since I connected my tracker in 2016 which is $20. Yeah it doesn't seem like much but I haven't had to do a single thing besides connect my Fitbit. I'll take it! This is another set it and forget about it type of thing. I've connected my Fitbit but like Balance Rewards there is a whole list of fitness and health apps and devices that you can connect. Unfortunately this one is pretty slow, or maybe I've been slacking but when you get an email saying you've been given $10 in your Paypal out of nowhere it's worth it. Click Here to sign up for Achievement. Now for the two that take a little more effort. I've heard of other apps for getting points from your receipts but this one is by far my favorite, I think mostly because of how easy it is. You just snap a photo of the receipt and submit. That's all there is to it. It usually takes me about 10 minutes per week to snap photos, if I remember haha. To date I think I've earned $200 in gift cards from there. They've really expanded their selection which is very nice. Shopkick is the one that probably I spend the most time on but it's still very minimal compared to some. To earn points with Shopkick you get walk in kicks, scan items on the list or submit receipts for certain purchases. Example being during my weekly trip to Jewel there were a number of products like a Cover Girl mascara and particular wine that I could get points for scanning. I don't got out of my way to earn points with this app. If I'm going to the mall and I've got time I'll walk around and get points but if I'm in a hurry I won't do it. Same with purchase points, if it's something I'll actually use or would be interested in trying normally I'll purchase it for the points but otherwise I'll stick with scanning and walk ins. The whole point is to keep it simple and be earning money not spending it! Use the code COOL146005 and you can get an extra 250 kicks to start off! 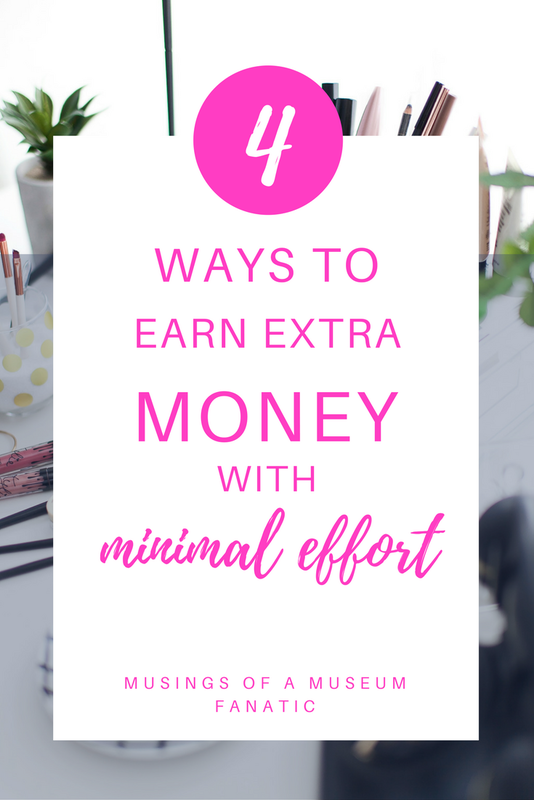 Are there any extra things or apps you've used to earn a few extra dollars?